Mont Plaisir is a working grain farm located 6 km outside of Fouriesburg, with four luxurious self-catering units and one en-suite room in the historic 'Old Main House'. Dutch owners, Mark and Anna Mari, named the farm 'Mont Plaisir', which means 'Pleasure Mountain'. Fouriesburg is situated in the Brandwater Basin, south of Bethlehem, and offers you the fantastic scenery of the Red Mountains, the White Mountains, the Maluti Mountains, the splendid Golden Gate National Park and many historic sites from the Anglo-Boer War. It is the ideal location for outdoor activities such as hiking, horse riding, fishing, 4x4, quad biking and abseiling, but for those who just want to relax, it is also the place to be. The Eastern Free State, and especially the Fouriesburg area, is just a few kilometers from the Lesotho border. Annual events in Fouriesburg are the Asparagus festival in September/October, the Surrender Hill marathon, a qualifier for the Comrades marathon in the last week of February, and the Cherry Festival in Ficksburg in November. We invite you to come to Mont Plaisir and experience the serenity and beauty of the Eastern Free State and Lesotho Mountains just as we do every day. All the buildings have fireplaces and their own braai facilities. The units are all fully-equipped and include bedding and bath towels. 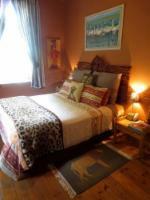 All beds are either king-size, queen-size or single, with extra-length mattresses. 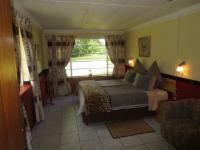 The accommodation is set in a beautiful garden with lots of trees and spectacular views. In the garden is a lapa where one can enjoy the beauty of the sunset or gaze at the stars at night, while having a cool drink. During your stay you can pick and eat your own fresh vegetables and fruit in season. The Eastern Free State does not only offer you a mild summer climate, but it is also your gateway to the unique experience of winter sport in Africa. Located on the Lesotho border, Fouriesburg is only 65 km away from 'Afri Ski', a unique venue for winter sport in Africa. The Afri Ski resort, and in general the Maluti Mountains, offers you the unique experience of unspoiled fun in the snow. It is easily accessible and a tar road will take you up to the ski slopes at 3500 meters. The group enjoyed their stay at Mont Plaisir. The place was lovely. The owners were friendly. Thank you very much for hospitality. We really enjoyed the tranquility and beauty the farm has to offer. I could sit on the porch all day long and admire the view. Very convenient in terms of location. We were pleasantly surprised by the great facilities and beautiful location of the farm. 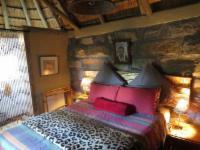 The 'Chalet' was in tip-top condition and provided all the services of a self-catering facility. Kitchen well equipped and bedrooms offered comfortable beds and adequate bedding / blankets etc. Nice and peaceful and a brilliant place to relax and explore the area. The Field Cottage is a beautiful place to stay, really enjoyed it. Mark and Anna Marie were very caring and thoughtful hosts. 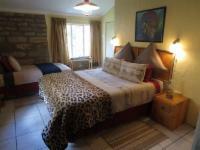 The accommodation was very clean and comforable and help was alays at hand. We had a very relaxing time in a beautiful setting. Would definitely recommend Mont Plaisir. Mont Plaisir Guest Farm is 5km from the centre of Fouriesburg , the nearest airport 117.6km (Moshoeshoe I International Airport).